Has the world online become more fascinating than the one found in your own home? Ruminations on life in New Orleans after Hurricane Katrina. A memoir on Japanese internment camps. A camping trip gone awry. 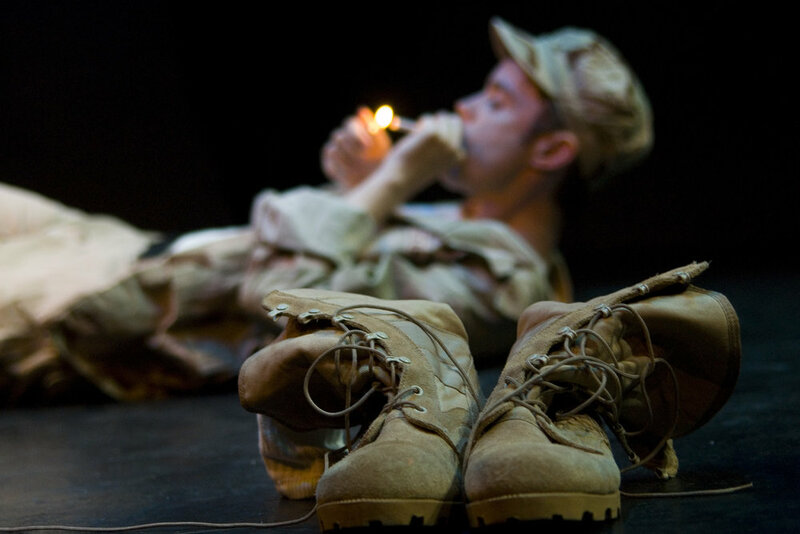 A haunting look into a soldier's memories. A bride and her battle with cupcakes. A local playground and a lie. One couple's adventures in the bedroom. An airplane ride brings out the truth. Love and relationships in the Facebook and MySpace era. What's it really like to be in a relationship with an artist? A poignant family discussion between father and son. A horseback ride through the desert of Afghanistan. A play of one-liners and the name game. A 3 a.m. dare at a 24-hour restaurant. How do you know when a relationship has failed? Art, war and a determined young woman. Siblings reflect on their childhood after the funeral of their father. A Wal-Mart parking lot and a decision that stands in time. A play with little for its characters to say. An entire apartment painted puke green. A guard and sixteen-year old museum visitor strike up a conversation. A fascination with a woman who remembers everything. A series of wedding night conversations. A stream of conscious about racism, stereotypes and the elusiveness of redemption. A man who cannot find the truth. A trip back to a childhood haunt. The realities of pregnancy and parenthood through an off-kilter lens.